Matthew's birthday cupcake. We did cupcakes instead of a cake this year so that we could have both chocolate and white cake. 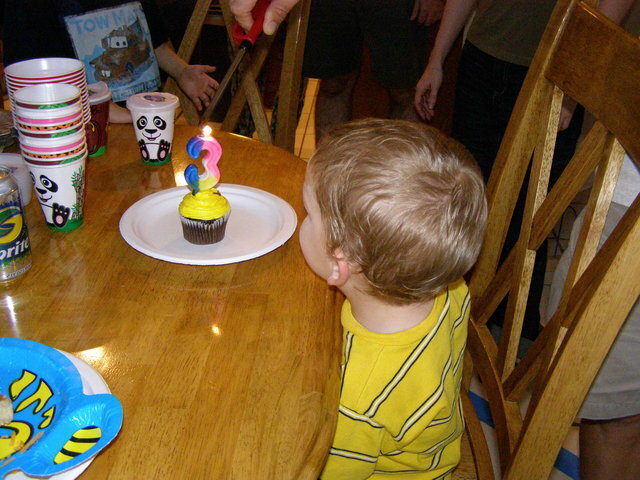 I also knew Matthew would want to blow out his candle and, knowing the amount of spit that usually accompanies that, decided that cupcakes would be more sanitary.